Mind you, our blog gets a modest amount of traffic (a couple thousand visitors a month), and most posts up until this one received only a couple dozen shares, despite still taking on average 1-2 hours. So what made this one different than previous posts, to the point that it was 10x more successful despite only taking 2x the time? That is the topic for this case study. 1 How Did We “Know” This Was Going To Be A Winner? 4 Method 1: Source Your Own Articles From Google. 5 Method 2: Source From Other List Posts. How Did We “Know” This Was Going To Be A Winner? I’ve been blogging for over 2 years now and have published hundreds of posts on dozens of different websites. In total, I’ve had less than 10 get more than a 100+ shares. I started to think – is it that I’m a bad writer? Well, the dozens of websites I’ve published on don’t seem to think so. So I started analyzing which of my posts did well and which did not, and there was a very clear pattern. Those are the only three factors that differentiate these posts with the hundreds of other ones I’ve written that didn’t do so well, though, arguably were of equal if not greater quality in terms of blog content and time spent. Now, I’m not saying this is true across the board for highly shared posts, simply in regards to the ones I’ve written, which were on blogs without incredibly large audiences, modest newsletters, little budget, and no flare for design. Given that, whenever I really want a post to do well, I make sure to check the boxes on those 3 differentiators. Much of the success of a post hinges on the problem it’s tackling. When I’m thinking about putting together a massive guide, I want it to be about topics people actually care about. I look for topics that are general enough that a large list would be a valuable resource. Think something unifying and something broad. 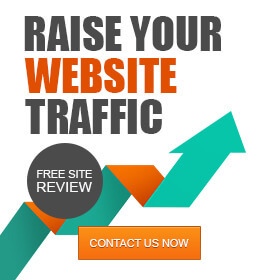 For us, I settled on traffic generation, because that’s a keyword I wanted to rank for as it related to our product and our target audience. Social media outreach is a type of strategy that needs effort put in research first. Additionally, I decided to make the focus on case studies, because internet marketers love a good case study. I said I built the post in around 4 hours. Perhaps 4 hours is more than you typically spend on a post – but ask yourself, how do those posts do? In fact, if it takes you an hour to do each post, do you achieve these kinds of results after even 4 posts? Here’s how you build the post relatively quickly. Method 1: Source Your Own Articles From Google. There’s really no better free source than Google if you’re looking to collect hundreds of articles all united by a common theme. 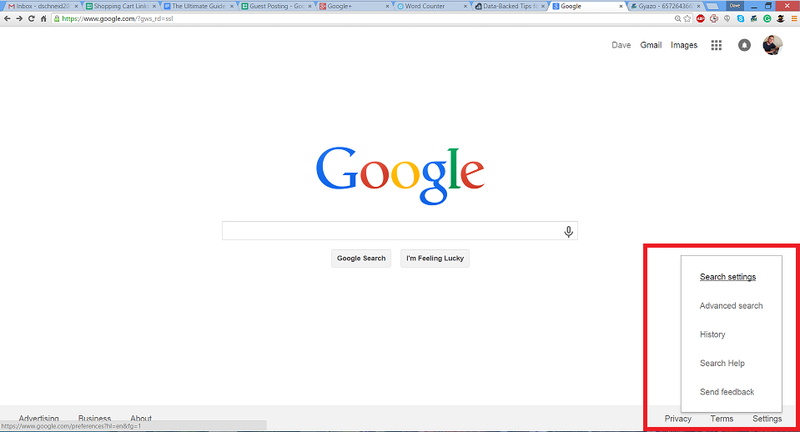 Now, searching through Google can take a lot of time IF you do it the old fashioned way. Luckily, I’ve done the legwork for you and identified a few tricks that anyone can do to dramatically speed up the process. Follow along, while I show you how to increase the number of search results that appear at once, and export them into a CSV. 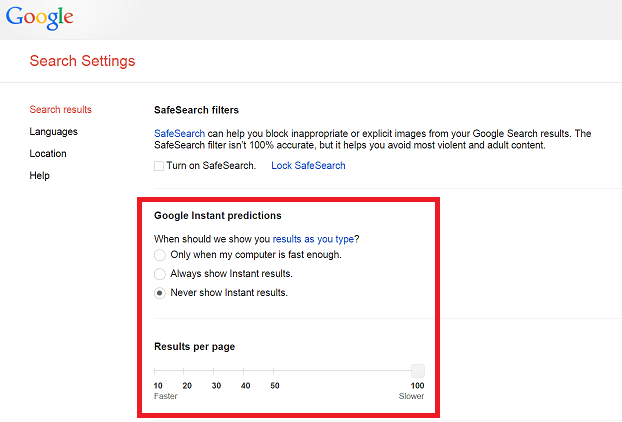 On the next page, change Google instant predictions to “Never show Instant results, and move the “Results per page” to 100. Now, when you run a Google search, you’ll show 100 results per page. I bet you didn’t know you could do that! 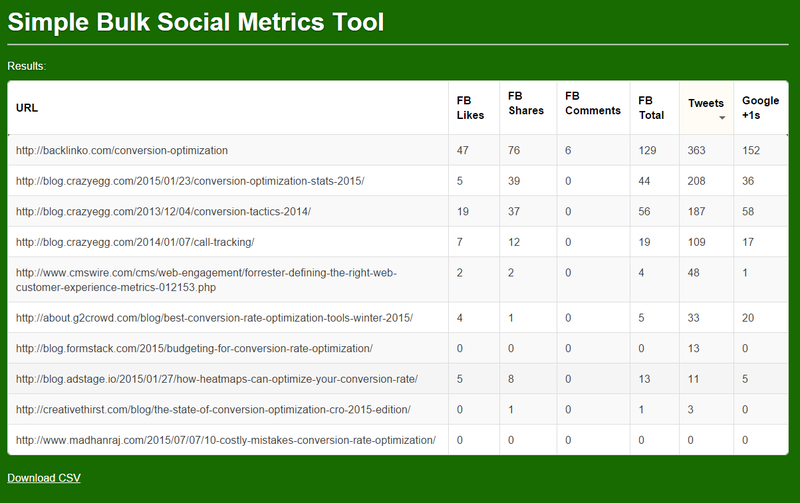 Next, download this free tool from Moz for Chrome or Firefox. I also recommend implementing google search operators. 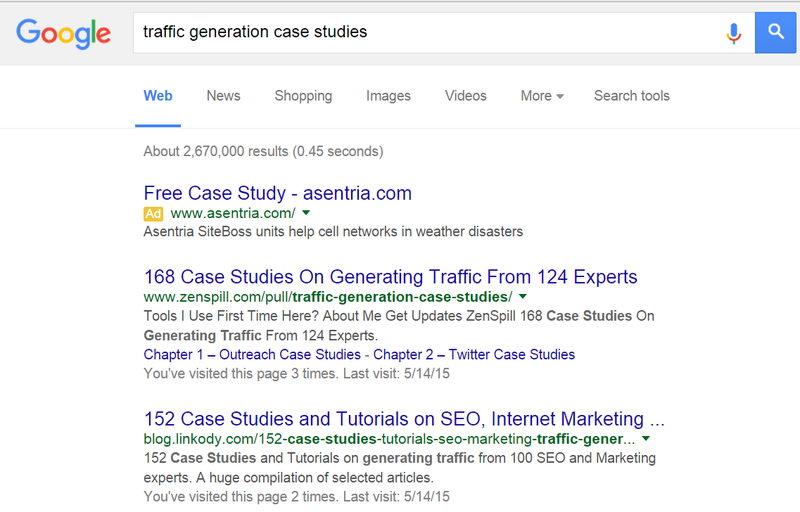 For example, when I was looking for traffic generation case studies I would search traffic generation inurl: case-study. With the Moz toolbar, I can export these results to a CSV. Whether you’re searching for guest posts, product reviews, infographics, or some type of article – this is an excellent way to get relevant results, fast. Method 2: Source From Other List Posts. Arguably simpler is to find other posts that mimic yours and combine these posts into one large post. For example, when Brian Dean was writing his fantastic post on 200 Google Ranking Factors, he saw that the front runner before him was Vaughn’s Guide, which had only around 126 ranking factors. Naturally, what he was able to do was to simply take those 126 that had already been laid out and build on them, probably including ones he found in other posts as well, until finally hitting upon 200. I can head to any of those pages and extract all of the links using an HTML extractor tool, and I’ve got over 300 case studies to draw from. In addition to that, I’m going to want to use method 1 to get some results that no one has yet to make sure I have fresh content of my own. I can now add them all to one spreadsheet, and remove duplicates via the UNIQUE() function. So you’ve just gone ahead and built a spreadsheet of a few hundred links to your topic. You may have removed duplicates, but you still can’t be sure that the ones you have are top quality. For this I’ll leverage a bulk social share counter, which allows me to add URLs (often it’s only 10 at a time), and get the share counts, which can be downloaded into a CSV. A high share count is an indicator that the article is quality, so I can just add these columns to my original spreadsheet, and remove any results that don’t meet a minimum threshold of say, 20 shares. Now, I’m left with just the good stuff. You have the makings of a post, but it’s in a spreadsheet – how are you going to put it together? Are you going to simply list the links, or are you going to write descriptions for each of them? Are you going to break the list into different topics or chapters, and if so, how will you organize the articles? Are you going to include images for each chapter? 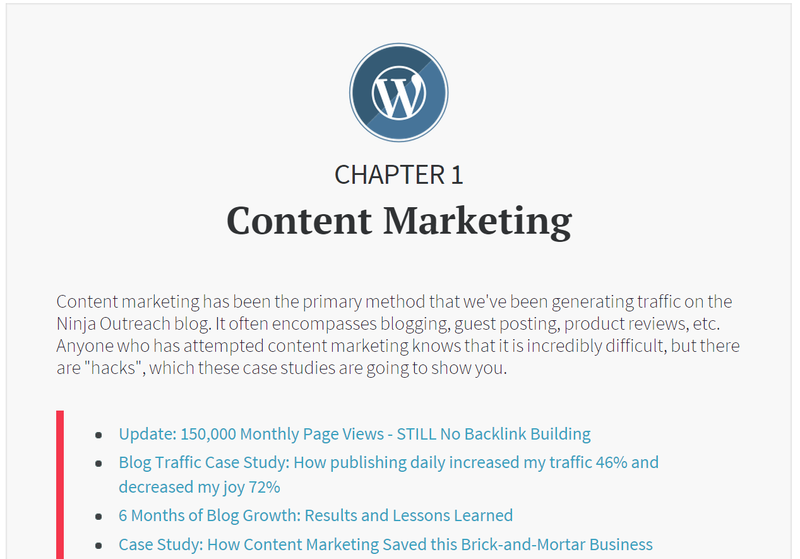 Will you include introductory descriptions for each chapter, as well as descriptions of each link? Are you going to build a table of contents? There’s not really a right or a wrong way to answer these questions – your answers are inevitably what will make your post unique. We decided to put everything in chapters and combine those into a Table Of Contents. We didn’t explain each link, but just wrote an overarching description for each sub topic as it related to traffic generation. I’m no stranger to building posts from spreadsheets and therefore I’ve come up with a few formulas that help me make a smooth transition. Imagine in column A you have the URL and in column B you have the title. Here’s a formula that will produce a single list element with the hyperlinked title. You can now drag that down across all the values, and your HTML for the list is basically built. What’s the point of including all of these links and references if you’re not going to spend time promoting it? There’s a few specific things you have to do to capitalize on the crazy link bait you’ve just built. You need to email everyone who’s been featured in the article, which starts with you finding everyone’s email address. Just wanted to pop in and say that we’ve included you in our roundup of top traffic generation case studies (it’s a broad list of over 100). Thanks for providing a valuable case study, and if you feel inclined to share the post with your audience, we appreciate the exposure. Give them an easy way to share in the email itself (click to tweet). In addition to email I like to hit up Twitter and G+, even to people I’ve emailed. People respond on different platforms (and sometimes both), and email doesn’t really have built in shareability like the other guys. In general, I tag as many people as I can in each Tweet and G+ shoutout, because putting people in close contact with each other helps increase the engagement. I call this the “Curated List Post” and by far it’s been one of the most effective methods I’ve used to generate posts, quickly, which get tons of exposure. Many of the tactics are also broadly applicable, such as building an expert round up post from a spreadsheet, or searching for guest post opportunities for an outreach campaign. Need help in planning the best social media strategy? Contact us now! What’s the topic for your resource post going to be?